Not to mention dealing with some expensive designer who’ll charge you and arm and a leg even for making slight changes and revisions. And don’t even get me started on the perils of using a novice, who’ll work for pennies, but leaves you and your business looking unprofessional and incompetent. Exceptional quality images that undeniably make you and your business stand out like ‘a bag of gold’ helping to instantly ‘Position’ you as the experts or the person of choice in your niche. No matter what it is you need – e-Book covers, social media graphics, blog posts, articles, YouTube thumbnails, a newsletter, website, report or header graphics You want them fast and easy. Until recently, the only options you had would have been to hire some expensive designer or spend hours on end trying to learn Photoshop...and who has time for that – right? Finally, a quick and easy way to create professional eye-catching designs without having to spend time and money on complicated software! An easy-to-follow course that shows you how to create designs that grab people’s attention like a hook and instantly generate more likes, comments and shares on all your Social Media accounts while sending ready-to-buy visitors to your business, product or services! Not to mention creating designs for Free which you can then sell online! I’ll take you by the hand and show you, step-by-step how Super Easy it is to create stunning graphic designs within minutes! "But I can't use or afford technical expensive software like Photoshop"
Well that’s no problem at all because… IT’S FREE and so simple even my 12-year-old daughter can use it! Well you don't need to as you can easily edit ready-made professional graphic design templates. These templates have been designed by professional graphic designers so they've done all the hard work for you. "I can’t do that I'm not at all technical"
Well if you can type (even using the “one finger” typing method I still use) and you can click a mouse button to drag and drop text and images to where you want them then you can do this. So now you know how easy this is to use and don’t forget it’s FREE to use too! Do you need more engaging graphics on Social Media so people STOP browsing and actually READ your posts so you get loads more likes, comments, shares and a ton of FREE traffic? You'll have 100's of design templates that you can quickly and easily edit and upload to sites like Facebook, YouTube, Twitter, Pinterest and many more! Do you need to create downloadable resources for online marketing? Do you need to create designs that stand out from your competition and brand you or your business? Do you need to create offline marketing resources or personalized designs for things like invitations and postcards? Do you need to create Videos or Powerpoint Presentations? You can choose from a wide selection of done for you presentations in various themes and layouts and simply create your own custom made Powerpoint presentations or use them as video slides! Or are you just looking for an easy way to finally start making money online as soon as possible?! One of the quickest and easiest ways to make money online is to create graphic designs for other people who are actively looking to pay someone to do these for them. 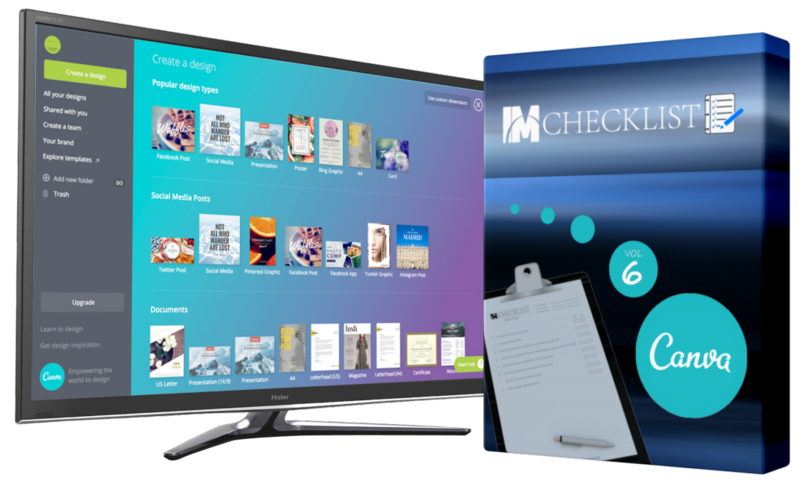 YOU ALSO GET PLR RIGHTS TO THESE CHECKLISTS! You CANNOT use these to create an eBook to sell. So, what else will I need once I invest in this training? With what you’re about to discover you will be able to give yourself and and your branding a completely new online make-over or build a brand-new business, which enables you to create your own schedule, be your own boss, have more freedom or even help others achieve their dreams by providing designs that they need to be successful! No Special Education...No Experience... No Skills...Just something you can use right immediately to start seeing results right away! I don't care what the reason is, if you aren't 100% excited and satisfied with the purchase of IM Checklist Volume 7 we don't want your money! Just let us know within 14 Days and we'll refund every penny. SOME BULLETS POINTS THAT COULD BE USED NEXT TO THE VIDEO? •Save time and money by quickly and easily creating your own professional designs. •Understand how to use all of the features that Canva has to offer. •Create professional eye-catching designs that grab people's attention online or offline. •Sell your services to people actively looking to pay for your designs. •Anyone looking to save time and money when creating professional graphic designs. •Anyone who uses Social Media to increase fans & followers. •Beginners looking to learn a new skill which they can use to generate an additional income. •Entrepreneurs & Internet Marketers who need eye-catching designs to catch people's attention online. •Freelancers & Advertisers who sell their services online or offline. •Business owners who use the internet to increase visitors, customers and sales. 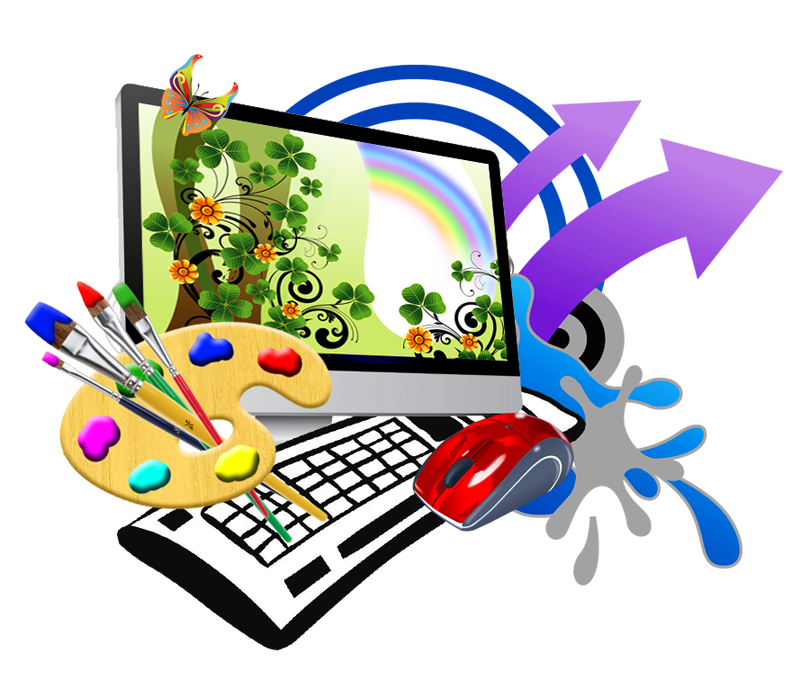 •Graphic and Web Designers who create designs for themselves or others.